For many people, gambling is harmless and fun, and just another way to let their hair down and relax. But for some people, gambling can become an addiction. And when it becomes an addiction, the cost of the gambling can become too great. 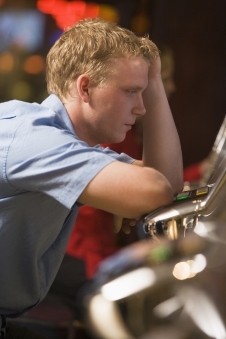 A person may have a gambling problem when they keep gambling despite being aware of negative outcomes in their life. This usually means the gambling is causing conflict with a spouse, with friends, or at work. It might mean the person is running up debts that make managing their or their family's needs very difficult. They might be borrowing money to gamble, or even stealing money. A gambling addiction can gradually take over a person’s life. It can destroy their reputation, their relationships and their financial security. What may start off as a bit of fun can end up being very destructive. If you're concerned about someone, this test on the Health Promotion Agency's website Choice Not Chance can help you work out if they have a gambling problem. If you're concerned about your own gambling, this test can help you work out if you have a problem. The websites and support services below can help people recover from a gambling problem. Gambling may be the only problem a person has. But sometimes they can also have an alcohol or other drug addiction, or mental health problems. If this is the case you may need to see your GP to get more support. You can talk to telephone counsellors any time on 0800-654-655, or you can text on 8006. Information, factsheets, news, events and support services. If you need help, you can call them on 0800-664-262. The Salvation Army Oasis provides free and confidential support, education, and counselling for those affected by gambling harm, as well those affected by loved-ones' gambling. The national freephone number is 0800‑53‑00‑00. A Health Promotion Agency website with information, tools, and videos related to problem gambling. Gambling is meant to be a fun and social form of entertainment. It offers the player a chance of winning – but all forms of gambling are designed to pay out less than they take in. For some people, the idea and excitement of winning means gambling can easily start to cause harm.